Cinnamon’s main compound is the spice called Cinnamomum cassia. 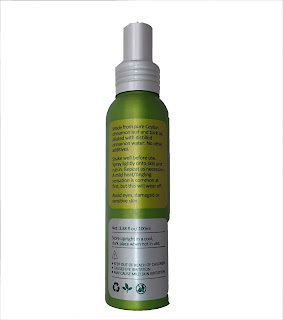 It has beneficial effects that come from the polymer called methylhydroxychalcone (MHCP). It is used in the treatment of type 2 diabetes, because it slows the rate of gastric emptying after a meal and improves glucose uptake, which reduces cholesterol and triglyceride levels. The metabolic effects of cinnamon cassia have an indirect effect on body fat. With the increase in insulin sensitivity and glucose uptake, there can be a reduction in body fat, with the greatest effects seen through a reduction in belly fat. So the weight-loss effects are not directly from the cinnamon; but rather an indirect effect from decreasing insulin insensitivity and decreased body fat. New Advent calendar ‘stocked’ with a personal review of the year in 24 + 1 pictures, concealed behind the calendar doors. Even snapshots from mobile phones offer happy surprises in this type of photo calendar. Many who like to make a loved one happy with an Advent calendar, will have wondered how to prepare a modern ‘zero-carb’ version of the traditional Advent calendar? Photo Advent calendars, where personal memories recorded in pictures, replace the calorie bombs, which traditionally hide behind the 24 doors, are an exciting alternative to chocolate Advent calendars. Zero-calorie calendars have a growing fan base in the United Kingdom and Ireland. The photo calendar is the ideal Advent gift for people who have captured beautiful moments in pictures, and love to share with friends or relatives. 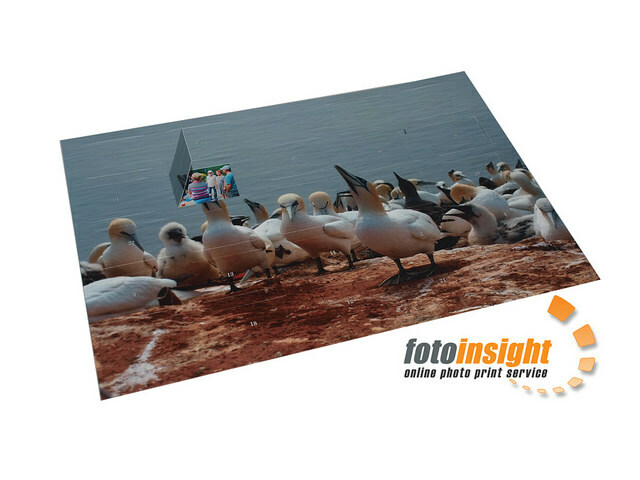 The 'zero-carb' gift from the photo enthusiast is now, in addition to the A4 format, also available in the larger A3 size, with room for bigger prints. A review of the year’s most beautiful events as a gift for Advent! A delight for the true love or sweetheart, for families and those who are close. This new photo calendars for Advent is the perfect present, to put friends in a festive mood. The picture calendar can provide a little joy every Advent day anew, with a picture or a memory of a shared moment. "the health threat of sugar is vastly underestimated,"
this is what US researchers say in a study, published in the journal “Obesity”. The lead author Prof. Robert Lustig, a paediatric endocrinologist says that this is evidence that “a calorie is not a calorie". To this day, we celebrate traditional festivals such as Easter, Advent and Christmas like our Ancestors did: with an abundance of food, that you could call gluttony. Unlike previous generations, the modern European has few opportunities to burn-off the resulting accumulation of fat, contributing to the obesity epidemic. The consumer urgently needs help, to develop strategies to eliminate large amounts of calories from his or her daily consumption. Replacing a chocolate calendar with a photo Advent calendar, reduces the calorie consumption in the run up to Christmas by about a 1,000 kcal - a welcome contribution for better health! 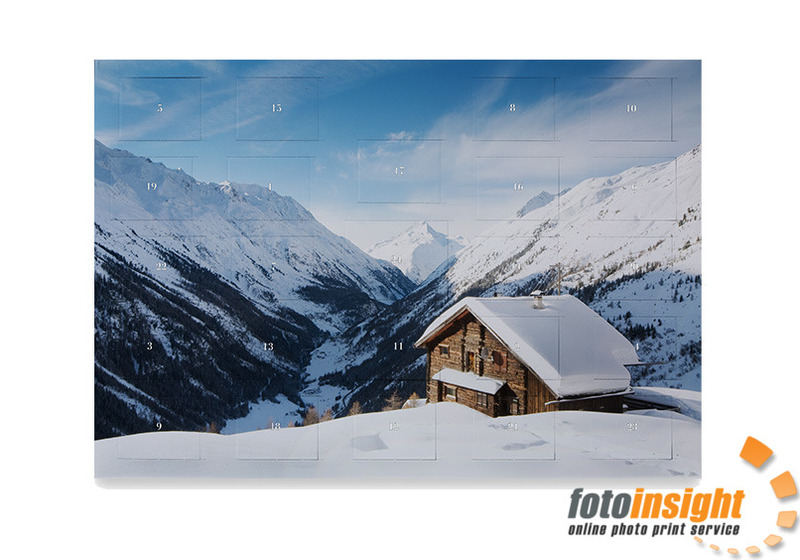 To make an Advent calendar with own pictures, it takes 25 digital images in landscape format. Smartphone snapshots are often very suitable for this product, too. The website’s text tools allow to write words, wishes or vouchers, to be hidden behind the Advent calendar’s little doors. On the photo lab’s website, for example in the UK http://fotoinsight.co.uk/photo-calendars/chocolate-advent-calendars.html or Ireland http://fotoinsight.ie/calendars/chocolate-advent-calendars.html , the images can be uploaded and assigned easily, to order the photo calendar print. Following a diet will make you think of food all day. - Have a comprehensive breakfast with foods that take time to digest (e.g. egg, wholemeal bread, sausages or an egg, but eat fruit, too). - If you get hungry during the day, then eat, but avoid high-carb snacks! You can even eat some nuts or heavy stuff like cheese, but don’t eat them in the evening (they add pounds). - When you eat, eat consciously! That means: sit down at a table and concentrate on the food. Don’t eat while watching television or while playing on a computer etc. - Chew every bite at least 38 times. - Eat little in the afternoon, avoid eating at night. - Avoid everything that is sweet, because sweet things make you hungry. The exclusion also covers artificial sweeteners (farmers use artificial sweeteners to fatten pigs). - Avoid light carbo-hydrates (pizza, pasta, chips, ketchup) and avoid all snacks. - No sweet drinks, either. - Drink lots of water (that fills your stomach and slows down your digestion). - Eat raw fruit and vegetables (raw food takes longer to digest). - Add cinnamon to your meals to burn belly fat! - Less processed foods (e.g. wholemeal sourdough bread) are preferable over more processed foods (e.g. white toast). - Avoid all alcoholic beverages (they have many calories). - Built exercise into your daily life: walk up the stairs instead of taking the lift, practise some press ups in front of the telly, … ideally you should also practise some endurance sport (with activities lasting over 45min), like cycle touring, nordic walking, swimming or zumba. 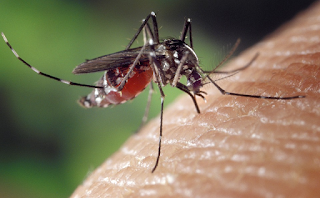 - Avoid busses and cars. Walk instead or travel by bike. You will feel great, not only because you will lose weight, but also because you will do more exercise and eat a quality diet. This will have a positive impact on intestinal flora, which will help against cravings. German farmers have used artificial sweeteners in pig fattening for decades. It was always assumed that the sweet taste increases appetite and therefore calorie intake. 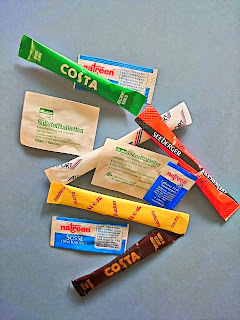 The researchers Dr. Eran Elinav of the Immunology Department and Prof. Eran Segal of Computer Science and Applied Mathematics Department of the Weizmann Institute published their test results in the scientific journal ‘Nature’, suggesting that the fattening effects of artificial sweeteners are much worse! Artificial sweeteners are affecting gut bacteria in a way that is contributing to the obesity and diabetes epidemic. Artificial sweeteners, even though they do not contain sugar, nonetheless have a direct effect on the body’s ability to utilize glucose. Glucose intolerance – generally thought to occur when the body cannot cope with large amounts of sugar in the diet – is the first step on the path to metabolic syndrome and adult-onset diabetes. Wellcome Trust’s science writing prize highlights face blindness as a common problem which is commonly overlooked. Ideas for child-friendly testing of prosopagnosia, or why every nursery and primary school should play picture pairs with the children’s portraits. The Wellcome Trust’s science writing prize has recently helped in highlighting the problem of ‘face blindness’ called prosopagnosia. Among the 640 articles submitted for the award during 2014, Kate Szell was judged the winner for her article: ‘Prosopagnosia - a Common Problem, Commonly Overlooked’. Szell writes: “Most of us take for granted the fact that we recognise someone after a quick glance at their face. We don’t realise we are doing something very different when we look at someone’s face compared to when we look at anything else.” Some people fail to process faces in the way the majority of humankind does. Studies suggest 1 in 50 people could have some form of prosopagnosia; far too many for an incapacity to not be routinely checked and often failed to diagnose. Face detection weaknesses are particularly striking during physical education lessons, as the children change into their PE kit and some take off their glasses, thereby removing a feature on which a prosopagnosia sufferer would rely on as a distinguishing visual clue. Dalrymple points out that lack of awareness of the condition among child care specialists and the public, is a serious issue. Many parents of prosopagnosic children consult a number of specialists before realising what is causing their child’s peculiar behaviour, and it is usually discovered after seeing something about “face blindness” online or in the media, rather than from a specialist’s deduction, that makes the penny drop. Face Blindness is an important enough problem to demand that children should be tested routinely, the earlier the better. 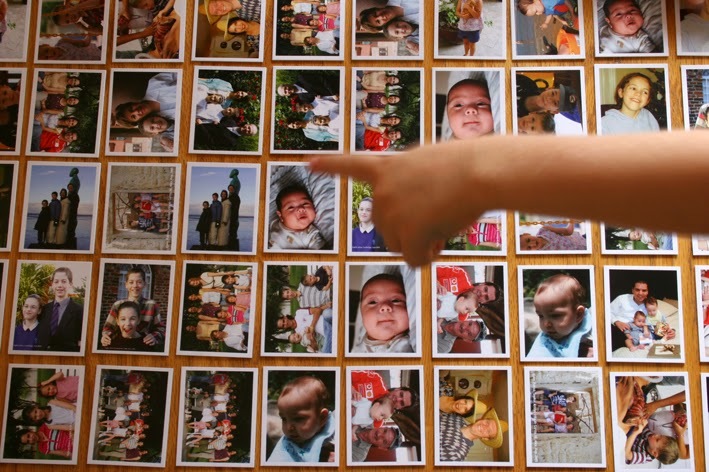 A child-friendly, playful way to test for prosopagnosia is with an individual picture pairs game with 25 faces, which could include photos of family, school or nursery group members. The brain processes faces differently from other objects, with special difficulties in inverting face images. 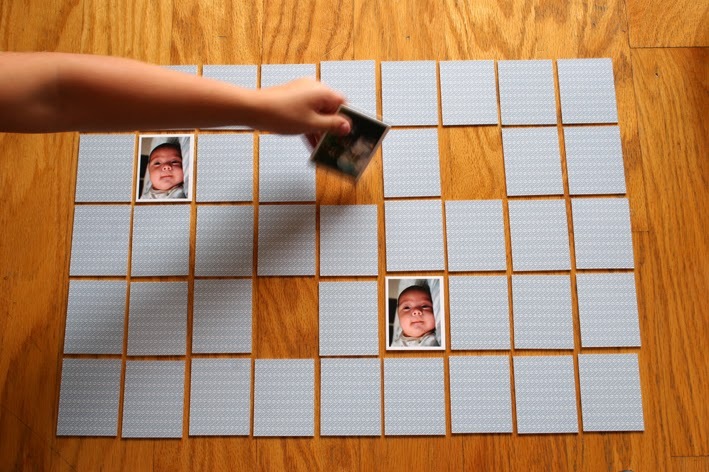 That makes photo picture pairs games of familiar faces an extremely valuable and unique learning and testing tool. The term prosopagnosia (Greek: ‘prosopon’ = ‘face’, ‘agnosia’ = ‘not knowing’) was coined by the German neurologist Joachim Bodamer in 1947, but it has been widely recognised outside the context of brain injury only in the past decade. Its purest form is limited to facial recognition, but prosopagnosia sufferers also have problems with inanimate and animate objects and in interpreting facial signs of emotion. Despite the importance of infant brain development, there may be processes that can be harnessed to help a face-blind child become a non face-blind adult. The brain needs to observe a face and remember it; it must identify a face as a face, then realise that it has seen that particular face before. We know that there are adults – but not children – with a combination of impaired face memory and unimpaired face perception, which suggests that the face perception element can be improved. Worst for prosopagnosia children are swimming lessons, where most face distinguishing features are eliminated. The children suddenly feel exposed to an environment of pure strangers. Children with prosopagnosia don’t value face or eye contact and take much longer to integrate into school or nursery groups as they struggle to identify and tell classmates apart. They are therefore often misdiagnosed with autism. But unlike autism, prosopagnosia does not diminish a sufferer’s social competence. To help pupils get to know their new peers many schools decorate the classroom walls with portrait photo prints of the pupils of a group or class. Below each picture are the children’s names. This helps children with prosopagnosia learn to identify the other children faster. To aid children with prosopagnosia, photos of fellow pupils, educators, teachers and possibly of other adults in the school (like caretakers, the school secretary and the head) should be made. Best not only to take the picture from the front, but also from different angles. Copies of the pictures could be given to pupils with face recognition difficulties to take home, suggests Dr. Grüter. Particularly interesting are group photos of similar looking children. This helps children with prosopagnosia to understand that some children of his or her class or group look very similar. They can then work on identifying distinguishing features. Many nursery and school teachers decorate their classroom with birthday photo calendars - with images of pupils and their corresponding names. You could browse the pictures with the prosopagnosic children and discuss the recognition of certain features. Even better than lending the birthday calendar would be a photobook with portrait photographs of classmates. The makers of the ‘CEWE Photo Books’ offer a photographic paper photo album, which is particularly suitable because this top-quality photobook has a stronger binding than most other photo book types. When a child fails to recognise a classmate – again and again – it might be time to recognise the face of prosopagnosia. To detect face blindness earlier, every nursery and primary school class should play a picture pairs game of all the group member’s faces.